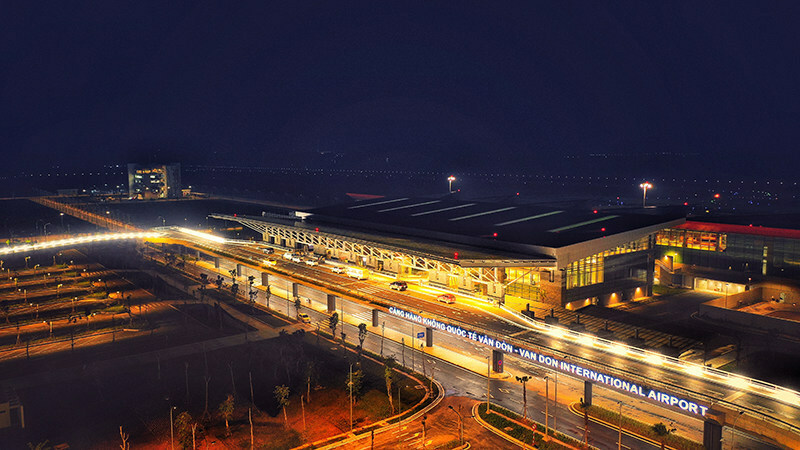 After two years of construction, Van Don International Airport, Vietnam opened on the 29 December 2018 in Quang Ninh province home to the UNESCO world Heritage site Halong Bay – just 220 kilometres from the capital Hanoi. 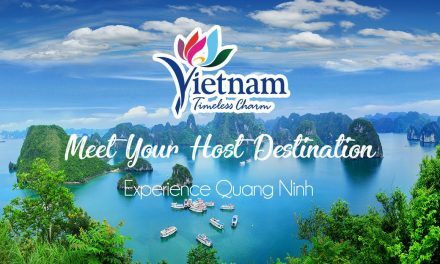 This is the first ever international airport in Vietnam to be developed by a private company, namely, Sun Group, the country’s premier developer of tourism, leisure and entertainment-focused properties and projects. With a total investment of VND7.463 billion (US$310 million), the airport was constructed with the assistance of NACO (Netherlands Airport Consultants), one of the world’s leading airport consultancy and engineering firms. “It is the most modern airport in Vietnam. It will have positive influences on the passengers’ experience here in the airport,” said Romy Berntsen, a project manager and architect from NACO. Besides being equipped with the latest airport technologies in the main terminal, and a state-of-the-art runway, the new airport features a beautiful design inspired by the heavenly Halong Bay, which is just 50km away. As a new gateway for both domestic and international travellers coming to the UNESCO World Heritage Site of Halong Bay, the airport will receive an estimated 2 to 2.5 million passengers annually for the next two years and five million per year by 2030. On the same day, Sun Group officially unveiled two more major new infrastructures projects in Quang Ninh, namely, the new Halong-Van Don Highway and Halong International Cruise Port. The new four-lane, 60km-long highway will reduce travel time from Van Don Airport to Halong city to just under 50 minutes. With total investment of VND1,032 billion (US$43 million), Halong International Cruise Port is the first ever cruise port dedicated exclusively to receiving international cruise ships. Located in Bai Chay ward, Halong City, the port can accommodate two cruise ships (up to 225,000 GRT each) at the same time and a total of 8,460 passengers, including crew. The port terminal, designed by Bill Bensley, one of the world’s most renowned and innovative architects, will be a new landmark for the city and Quang Ninh Province. The opening of all three major infrastructure projects will play an immense role in tapping the province’s full tourism potential and create new opportunities for international trade and economic cooperation.